The smell of graphite fills the room as number two pencils are freshly sharpened and careful precautions are taken to avoid bubbling outside of the restricted lines. This is the experience of standardized testing—a part of high school student life. This not only applies to the U.S. Standardized tests are required globally and used for college admissions. In the U.S. specifically, the standardized test is either the SAT or the ACT. The SAT is scored from a range of 400-1600 (400 being the lowest possible score and 1600 being the perfect score). On the other hand, the ACT is scored between the ranges of 1 and 36 – 1 being the lowest in this case and 36 being the highest. The difference between these two standardized tests is that the ACT has a section for science whereas the SAT does not. A decent score is typically a necessity to be admitted, or even merely considered, into a college. 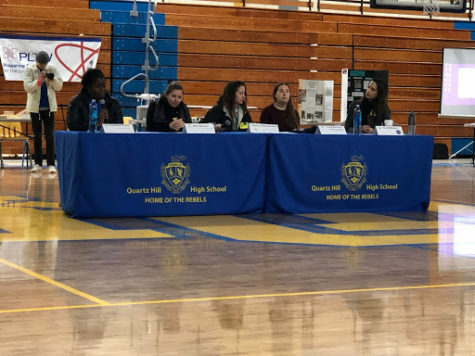 Administered by the district, each junior at Quartz Hill High School had the opportunity to take the SAT with the Essay portion for free on March 6th. The SAT typically costs $47.50 while the SAT with Essay costs $64.50. Taking the SAT with Essay without payment was definitely an opportunity to be taken advantage of. With the district paying for all of the tests for the juniors, students had the first necessary step towards college applications paid and completed. 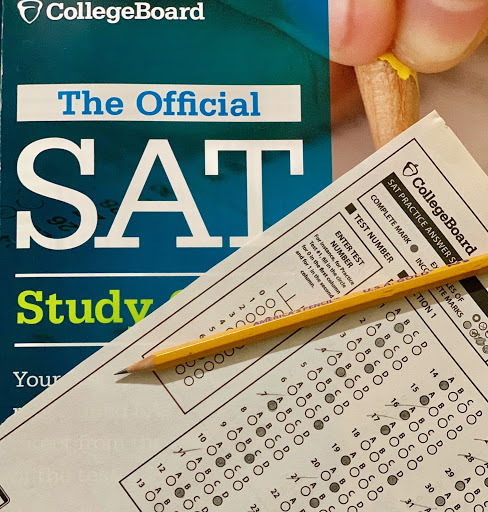 Students who may not have considered college as an option now have an SAT score in case their opinions change. Kenia Garcia, a Junior at Quartz Hill High School, expressed her thoughts on test day as being “stressed,” yet still showed gratitude, as she was “glad” the school administration made it available for free to all juniors. She also stated that the school-issued free breakfasts were helpful for anyone who did not have the time in the morning to eat a well-balanced meal. The breakfast also allowed every student to take the test with some nutrition, no matter their circumstances or situation. However, she noticed many students did not have enough time to fully finish their food, as the test was promptly started at 8:30 and the bubbling of preliminary information took an extensive amount of time. Upon the end of the three-hour test, rather than relief, she felt exhausted as she made her way to her sixth period. On the issue of standardized testing in general, Garcia shared her opinions on the exam style. She claimed to understand of the necessity of standardized testing; however, she did not agree that it should be the basis for determining a student’s intelligence or ability and be a large part of college admissions. Her argument consisted of several factors that could affect test-taking, such as the simple trait of not being a decent test-taker, being too busy to study and prepare, or being in a difficult situation at home that might prevent a student from focusing and studying in a healthy environment. Moreover, she makes a point that “students [in families] with higher incomes who can afford SAT prep classes tend to do better than students [in families] with lower incomes.” This suggests the idea that standardized tests, such as the SAT, and the appeal of high scores to most competitive universities are in part used to generate profit. Despite this potential conspiracy theory towards standardized testing, admissions are not going to change their standards or requirements. It may be best to just follow the system by taking the standardized test and scoring high to improve the chances of getting into the school that you desire. Although high test scores are always favorable, an increasing number of schools are looking for more extracurricular activities, evidence of good character, and well-roundness in their potential students.